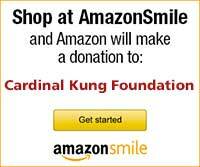 Stamford, Connecticut, U.S.A. - The Cardinal Kung Foundation reports that one underground Roman Catholic bishop and seven underground Roman Catholic laypersons were recently arrested. 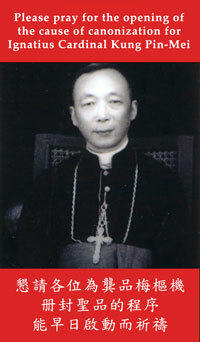 Underground Roman Catholic Bishop JIA Zhiguo, Bishop of the Diocese of Zhengding in Hebei Province, was arrested on August 15, 1999, the feast of The Assumption of the Blessed Virgin Mary, which is one of the most important feast days in the Roman Catholic calendar. In the past few years, Bishop Jia was always taken away by government officials on the eve of every major feast day. We believe this was done to prevent Bishop Jia from leading his faithful to celebrate the feast days. Usually, the government released the bishop after about one or two weeks of detention. However, this time, Bishop Jia has been detained for almost three months without being released. He has in fact disappeared. We do not know where he is. Bishop Jia is 65 years of age and has been imprisoned many times, his jail terms totaling about 20 years. YANG Laixing, Male, 21 years of age. ZHOU Zimin, Male, 49 years of age. YANG, Wenhui, Male, 29years of age. YANG Liulang, Male, 34 years of age. XIONG, Bangyin, Male, 33 years of age. YANG, Jijiang, Male, 17 years of age. Joseph Kung, President of the Cardinal Kung Foundation, said: "China has achieved significant economic progress during the past 2 decades with much assistance from the free world. This progress has not brought about true religious freedom as many leaders of the free world had hoped. In fact, the widespread persecution continues to worsen. Obviously, the current policies of many countries in the free world to delink human rights from trade has failed to convince China to stop the religious persecution. On the contrary, the policies make the Chinese government contemptuous, allowing it to continue persecuting religious believers without fear of damaging its international relationships. We appeal to world leaders to change their current policies in order to persuade China to stop this persecution immediately."